5 Available Trucking Services that You May Need - Triangle-J, Inc.
A lot goes into getting an oversized load from point A to point B and you are right for thinking that you don’t want to handle it on your own. Triangle- J, Inc. specializes in hauling a variety of flatbed loads, including those requiring an extendable trailer, and is equipped to handle it all. Meat, produce, and other perishables cannot just be thrown on a truck and shipped. You need it to be kept at a precise temperature, and we can do that for you. 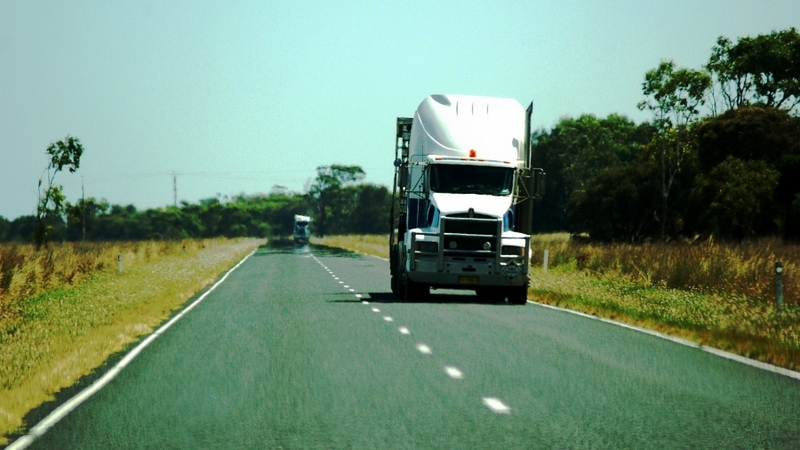 Triangle-J Inc. has extensive experience in the transportation of temperature sensitive freight. We handle refrigerated freight on a regular basis, so you can trust us with your precious cargo. Just because you have a farm doesn’t mean you have a truck big enough to transport all of your crops to its final destination. And now, you don’t have to! Triangle- J, Inc. can haul your farm’s produce with professionalism and attention to detail. We work with many local farmers in our area, and would enjoy working with more whether they be near or far! Sometimes, you don’t need a full-sized semi truck, but you do need a little more space than what a regular car or truck can handle. We can do it! Our pilot service is available to transport you oversize load today! All of our pilot cars are certified and commercially insured to travel anywhere. Clearly, no matter what you need, Triangle-J Inc. can do it for you. Call us today at 1-866-358-7695.